The English Postgraduate Certificate in Education (PGCE) course prepares you to teach the subject to all ages and abilities in the secondary school system (KS3 and KS4). The central aim of the course is to produce confident, competent and professional teachers of English with a good grasp of effective approaches to teaching, and the enthusiasm and skill to help pupils understand, enjoy and apply this subject. Are you an English Graduate with a passion for language and literature? Are you excited by the prospect of teaching students to analyse a wide range of texts? The English PGCE course will equip you to teach English to pupils aged 11-16 (with additional opportunities to look at A level teaching during the course) and will develop your understanding of key concepts and processes, as well as developing and enhancing your subject knowledge. 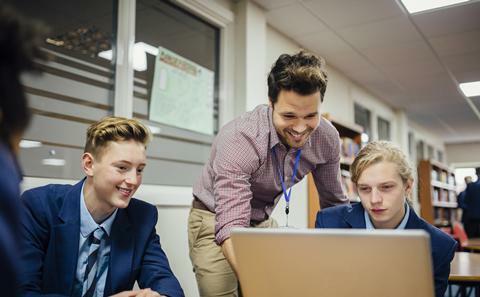 Through high quality collaborative taught sessions, bespoke developmental activities and supportive in-school placements, you will develop skills in planning, delivering and assessing learning activities; equipping you to make a significant contribution to English departments during your training year and beyond. Our PGCE Secondary course will equip you with the necessary skills and knowledge to teach English across the secondary age range, including some opportunities to know more about 16-19 teaching. Candidates should note that the majority of schools in the Southampton partnership serve 11-16 cohorts and access to post-16 experience is limited to guest speakers, independent inquiries and observations in the main. Our PGCE trainees have successfully secured posts teaching across the 11-19 age range. There is a strong working relationship between the university and partner schools to develop your ability to teach English effectively. This involves not just understanding how to teach but why; the emphasis on the latter explores both why the subject matters as well as exploring the benefits of a range of teaching approaches. The course is very practical but underpinned by an emphasis on developing your own theoretical and philosophical position towards English teaching. It is a challenging course but highly effective. The course enjoys a very strong local and national reputation and has high completion and employment rates. The course is designed to create English teachers that have a clear and well-founded philosophy towards the subject and how to teach English. We aim for reflective and dynamic practitioners willing to use a variety of teaching strategies to inspire all the youngsters in their classes. They will have a clear understanding of the problems pupils encounter in English, be prepared to find ways to overcome these difficulties and help pupils make progress. working creatively and professionally with curriculum/professional tutors and curriculum/professional mentors to enhance your understanding of teaching and in particular the demands of English teaching. Applications are made centrally online through UCAS Teacher Training (UTT). For our English PGCE please search for University of Southampton (English) on UCAS. We also have a places available via our School Direct Training Programme on our Route 2 (visit School Direct). Applications for this route need to be made through UCAS to one of the two Southampton University Partnership Alliances (SUPA Southampton and SUPA Salisbury). To find out more about SUPA visit the website: www.supa.biz. On successful completion, you will have gained not only your PGCE, but have attained Qualified Teacher Status. This is the accreditation that enables you to teach in state-maintained and special schools in England and Wales. The Southampton Education School works in partnership with a total of over 100 local schools and colleges across the region. 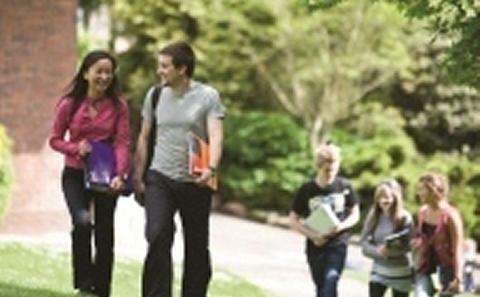 The Southampton PGCE provides you with a very firm foundation for your teaching career. We have high employment rates from the course and many trainees are actually employed in our partnership schools. Prospective candidates will have good knowledge of the subject, usually gained from first degree award. The normal expectation is that students will have at least 50% of their first degree in English (either Language or Literature), though related subjects such as media, journalism, creative writing, drama and so forth are seriously considered. You will enhance your interview rating if, prior to interview, you have already observed some teaching and learning in a English classroom in a secondary school, and had a discussion with classroom teachers. participate in a pupil-based task. strong interpersonal skills and an ability to communicate effectively (oral and written). A good academic reference must also be provided from your most recent university or college or in some cases an employer (where you have been away from studying for some time). All places offered will be conditional on enhanced DBS and health checks. The full-time, one year, course starts in early September and continues through to the end of June, with breaks over Christmas and Easter. The course itself is designed to cover all aspects of teaching English, from issues of classroom management to effective ways of getting pupils to understand English skills such as analysis of texts and how to write effectively. Trainees are assessed formatively and summatively across the course. This ensures that progress is reviewed regularly and you are aware of the progress being made against the Standards for Qualified Teacher Status (QTS). There are informal activities that need to be completed, and are important in developing a deeper insight into effective teaching. Besides completion of all subject- based tasks there are three elements common to all trainees in order to complete the course successfully. All trainees have to demonstrate that their teaching is suitable to meet the Standards for QTS. This is measured in conjunction with schools through your own accumulation of evidence based on your time spent in school and university learning. You are reviewed, assessed and ultimately graded on your performance as a teacher. Finally everyone must pass three major assignments, Assignment 1 and Assignment 2 linked to their curriculum area, and Assignment 3. Assignments 1 and 2 are based on aspects of subject teaching, whereas the Assignment 3 is based around a study of a whole school issue.